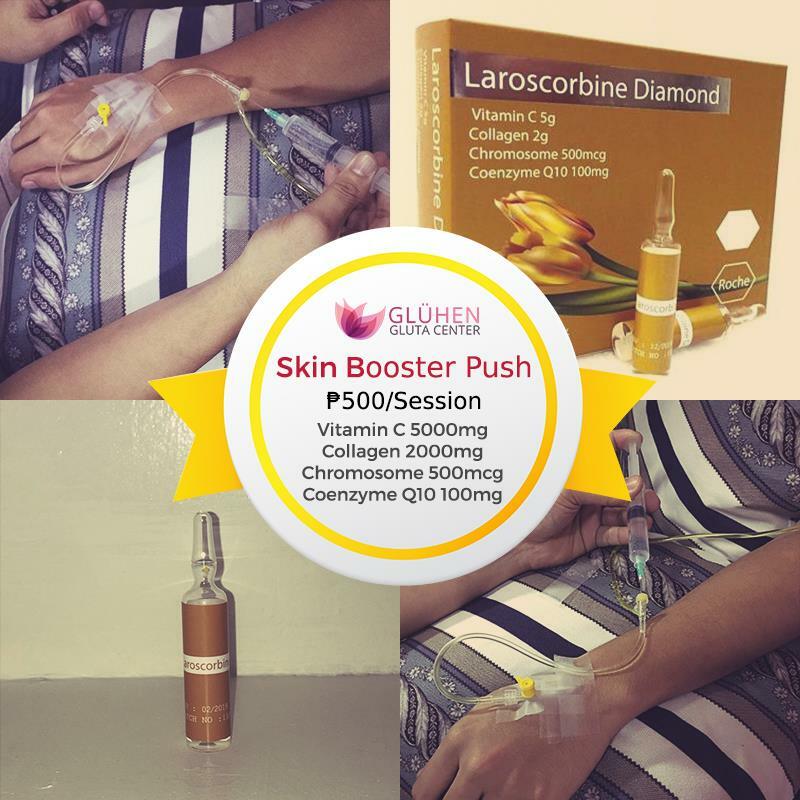 I've heard a lot of clinics that are starting to offer Glutathione services in the city, mainly through friends raving about this technique in administering Glutathione via IV drip. 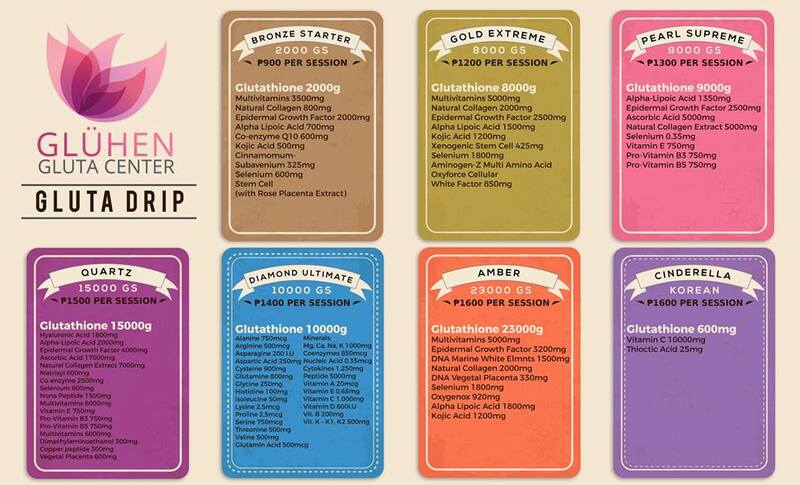 They say the effects are much faster than taking a pill or using soap with Glutathione. I was a bit scared to try but was really curious about it. FYI, I've never had this procedure done in my life, thank God! 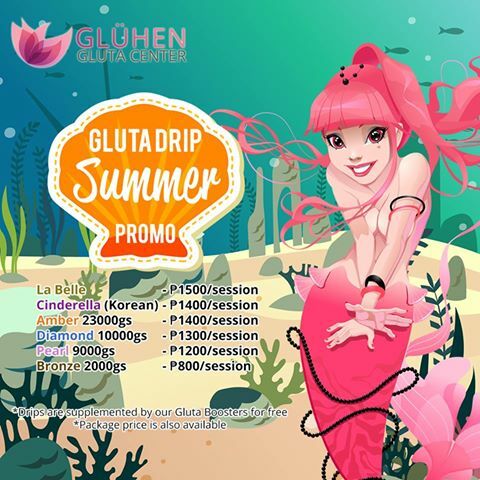 So a friend of mine tapped me to try the services of Gluhen Gluta Center, a skin clinic located at Villa Conchita, Rivera Village here in Davao. Again I was a bit hesitant at first but finally found the courage to test it out. The benefits appealed to me, especially the detoxification (I eat a LOT), so it was definitely worth a shot. When I got there, I met Riz and Erik Caballero, the owners of the clinic. They were really accommodating and even introduced me to their staff. They have 3 full-time nurses who administer the IV Drip and a physician for consultations. 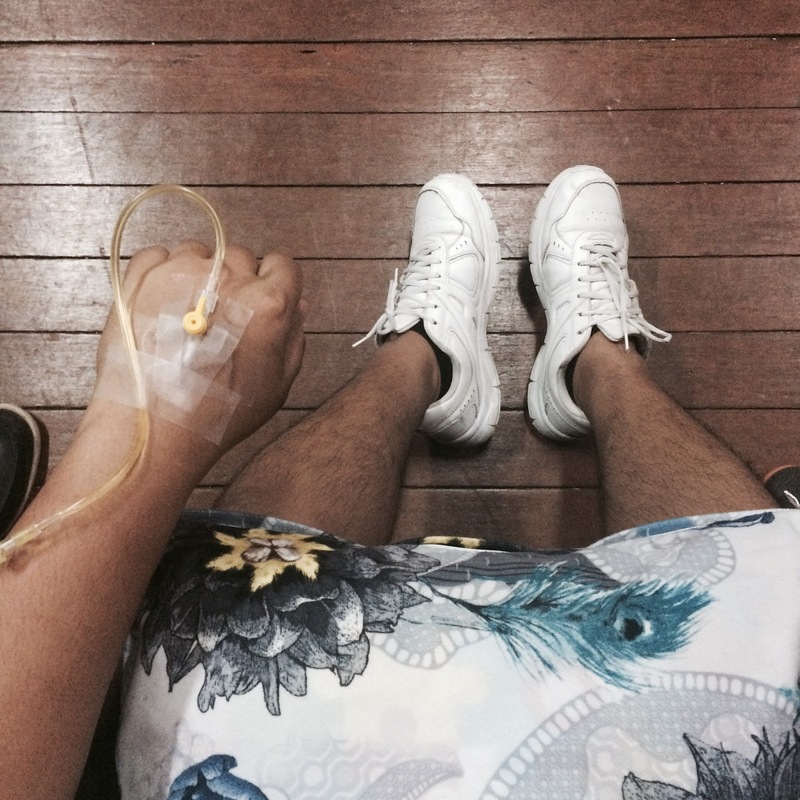 I was amazed after they showed me all their packages and the materials they use for my IV drip. Riz showed me the ampule and the vial and explained the step by step procedure. They also presented a waiver and explained the benefits and possible complications. After that, I felt much more at ease and comfortable. I was thinking, hey, this may not be so bad after all. The nurse then started the procedure and was able to hit my vein in just one prick. The feeling was a bit weird at first but, I got used to it. It took 30 minutes to finish the contents of the bag. She asked me to contact them immediately if I had any adverse reactions. This is me during my first visit at the clinic. This is me a day after my first session. FYI - These photos are not edited and filtered. Based on my experience, I can really see the difference on my face and skin. My skin became fair and I had no breakouts. I also felt very cleansed because I was able to lose my bowel once or twice a day. According to Ritz, you can have a session every 2 days. You can have more than 4 sessions depending on your preference. 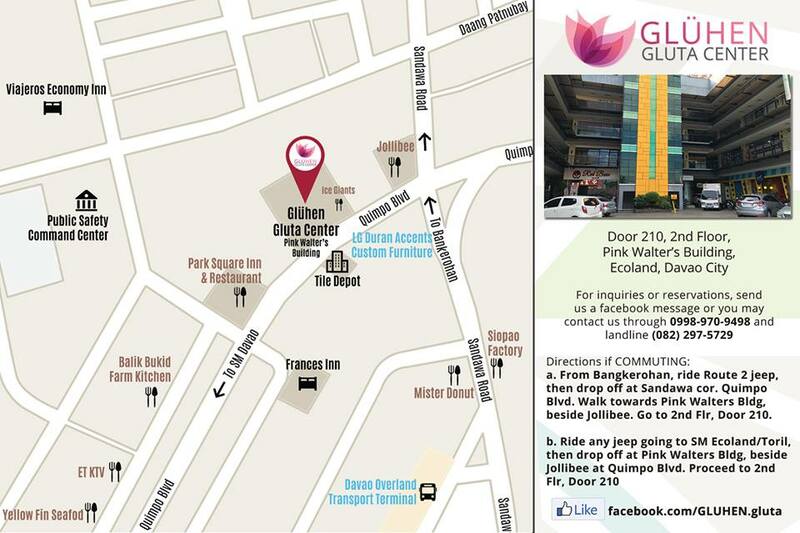 I highly recommend that you visit Gluhen Glutathione Center if you've decided to try it. From licensed and experienced staff, owners, and best products, you'll be secured to get the best service here in Davao City. 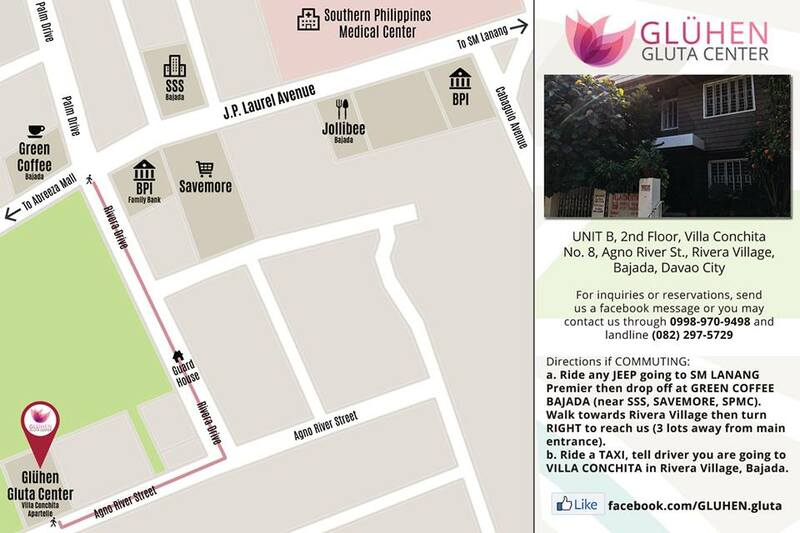 They now have 2 clinics in the metro! Here's the latest promo they posted on Facebook. Book your appointments now! 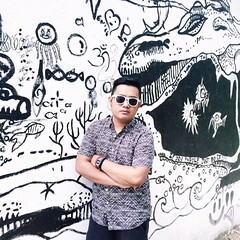 For more info and update on promos, like their Facebook page.